Carmen’s passion for teaching and learning is fueled by her desire to provide the best arts education possible for her students and their families. 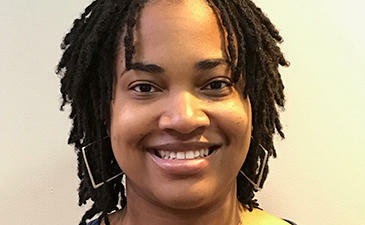 She teaches students how to use digital media as a tool to address social justice issues, environmental concerns, and to communicate ideas effectively. Carmen didn’t start her career journey looking to become a teacher. She began as a graphic artist but after finishing her degree, she says, she quickly realized her passion for academia and redirected her career goals toward education. Fun fact: Carmen is fully integrated into her local community, participating in the “Teach it Forward” program with the Smithsonian National Museum of American History.